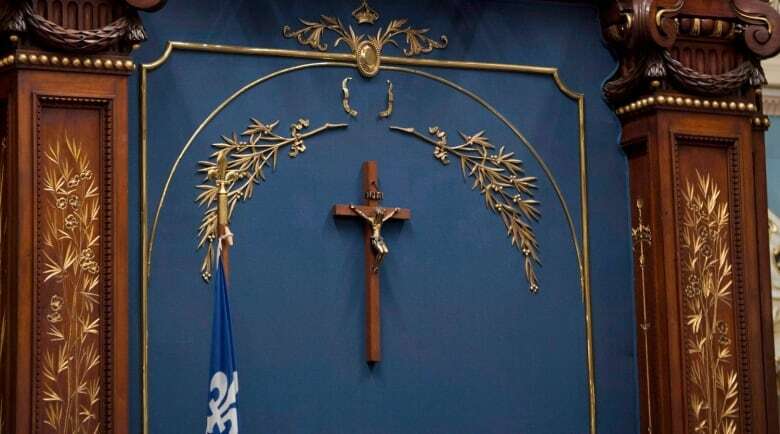 Premier François Legault said he agreed to exempt current teachers and move the crucifix in an attempt to secure greater support for the proposal and, he hopes, to put an end to the debate once and for all. The religious symbols ban was a key CAQ promise in last fall’s election. They won a majority with 38 per cent of the popular vote. “What I want to try to do in the next few weeks is to unite as many Quebecers as possible. That’s why we accepted to make compromises. But I’m very proud of the bill we tabled today. It represents values, our values, and it’s important,” Legault said. The opposition Liberals argued the bill goes too far and would hurt, in particular, Muslim women who wear the hijab. The Parti Québécois, however, said the proposed ban on religious symbols should have been extended to public daycare workers. “We think the secular way of functioning ensures that we are equal citizens,” he said. “We are very concerned with the new Quebec government’s statements regarding a ban on religious symbols displayed by government officials and displayed in public institutions,” said Harvey Levine, Quebec’s regional director of B’naiBrith. The Quebec Women’s Federation, for its part, issued a sharply worded statement, accusing the government of basing the bill on identity politics, rather than secular principles. “We reject that the Quebec state should dictate to women what they can wear or not,” the statement said. Immigration Minister Simon Jolin-Barrette, who has been spearheading the proposal, called for “calm” discussions about the bill. “I invite people to make their comments in a respectable way,” he said.